Looking for help managing your Seattle property? T-Square Properties has been in the business of managing residential homes, multi-plexes, apartments, and commercial properties since 1996. We have maintained a history of long-term client relationships throughout the Seattle, Bellevue, and Everett Areas and all points in between. These relationships were built due to our high quality property management skills, tenant screening and solicitation, maintenance supervision, and all-inclusive accounting knowledge. Owning property can be rewarding, however it often comes with a great deal of time invested. Managing your own property can also limit the amount of properties you are able to own due to a restriction of time. This limits your ability to grow your real estate portfolio and increase your investment income. Our expertise in Seattle property management will help you reach your financial and lifestyle goals. By outsourcing the management of your property you’ll have more time to spend doing what you love to do, as well as the ability to increase your investment portfolio. We’ll take care of the headaches that come with Seattle property management so you can enjoy your investment. We understand that owning a property is tough work. We specialize in dealing with Seattle properties to help you maximize your return on investment, while freeing up your time. Supervision of cleaning, paint, carpet, etc. At T-Square Properties we pride ourselves on our ability to deliver value to our clients by building a trustingand long-lasting relationships with our property owner clients.So if you’re ready to free up some of your time and improve the total return on your investment give us a call and let us help you manage your property. 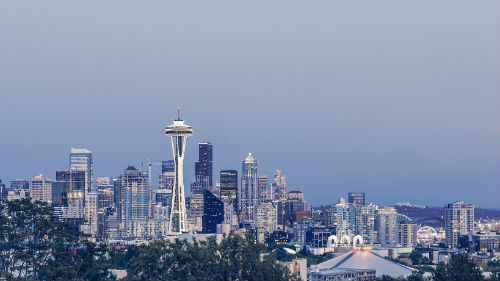 Seattle is currently the largest city in the state of Washington, with an estimated population of over 684,000 people. As of 2015, it is the 18th largest city in the United States and one of the fastest growing major cities. Logging was Seattle’s first major economic feat, however, by the late 18th century it had become a commercial and shipbuilding center as a gateway to Alaska during the Klondike Gold Rush. Today, Seattle’s economy is driven by a mix of different industries, including Internet and technology companies. There are several major companies headquartered in Seattle such as Amazon.com, Starbucks, ,and Nordstrom. If you’re looking to visit Seattle there’s plenty to see for tourists. You can plan a weekend full of sights by visiting the Space Needle, Columbia Center, and The Museum of Flight just to name a few! If you’re a sports fanatic we are also home to the Seahawks, Mariners, and Sounders FC. If you’re looking to move to Seattle and love the outdoors, you will be happy to know that the mild climate here allows for year-round outdoor activities. Whether you enjoy skiing, snowboarding, kayaking, team sports, swimming, or cycling the climate to it all.